A study was approved for the Innovations waiver to determine a long term solution for the program, how to avoid a wait list like we currently have, and how to implement federal changes to the program. There is no new money for innovation waiver slots- this would just be a study. Recurring funds of $400,000 to Child Advocacy Centers were added. House members originally proposed restoring $30 million in single stream funding. $110 million was cut in fiscal year 2015-2016 with another cut made in 2016-2017 of $152 million. Last week, House members bumped up the restoration to $60 million in funding to the LME/MCOs with the potential for another $30 million to be added based on a potential Medicaid surplus at the end of fiscal year 2017. This means a potential of $90 million in restoration of single stream funding cuts and will go a long way to providing services in North Carolina to those served by the LME/MCOs. An across the board, 2% pay raise for state employees. A 1.6% cost of living adjustment for retirees. SB 841: Medicaid Eligibility Timeliness/Funds: This bill would require Departments of Social Services to make a decision on a Medicaid eligibility application within 45 days unless a decision needs to be determined on disability giving 90 days for a decision to be made on the application. The bill also funds 4 new positions for Human Services Evaluator/Planner as well as three new Business System Analyst Positions. Last week, the bill passed committee and was referred to Appropriations. SB 825: Expand Hospital Disclosure Requirements: This would require not for profit hospitals to disclose charity care, patient revenues, income, and capital assets and improvements. The bill does provide funding to the Department of Health and Human Services for information technology to keep up with the reporting. Charity care is important to financial assistance. The bill passed the Senate Healthcare Committee and was referred to Appropriations. HB 1104: Vet’s Posttraumatic Stress/Mitigating Factor: This bill would allow for the courts to consider Post Traumatic Stress Disorder as a mitigating factor when sentencing a person who is a Veteran and provides funds for Veteran Treatment Courts. The bill passed House Judiciary I Committee and was referred to Appropriations. Tuesday, May 24th: Alzheimer’s Association Advocacy Day: Register Online! Wednesday, May 25th: Medicaid Expansion lobby day- Register online! 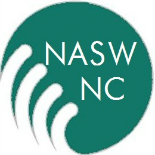 This entry was posted on May 23, 2016 by naswnc in Advocacy, Blog Posts by Topic and tagged 2016 Short Session, House Budget, macro practice, macro social work, NASW-NC, nc social work, NC Social Work Advocacy, NCGA, NCPOL.